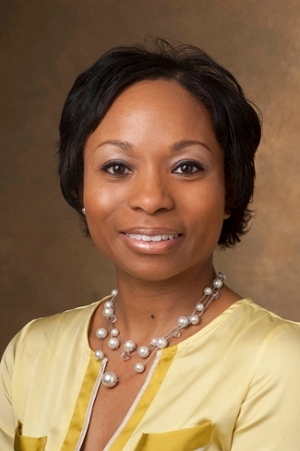 Southern Illinois University Edwardsville’s Lakesha Butler, PharmD and associate professor of pharmacy practice in the SIUE School of Pharmacy, will become the chair-elect for the pharmacy practice section of the American Association of Colleges of Pharmacy (AACP) in Summer 2017. The AACP is the national organization representing pharmacy education in the United States. Butler was selected by pharmacy practice peers through a national election. She will serve in the chair-elect capacity for one year (2017-18 academic year) and will assume the role as chair for one year (2018-19). She will serve as immediate past chair for the following year (2019-20). Butler has been an active AACP member, serving in a number of leadership roles for the past 10 years. The pharmacy practice section represents the special interests of faculty engaged in pharmacy practice and clinical sciences. She previously chaired the section’s research and scholarship committee. The section has more than 2,000 members and is the largest AACP section. The chair-elect assumes the chair’s duties and responsibilities in the event of the latter’s absence at section or association meetings, or in the event of the chair’s death, resignation or incapacity. Butler will chair the section’s program committee for the coming year. The pharmacy practice section chair has the overall responsibility for conducting the section’s affairs between annual meetings. The chair also presides at the section’s business meetings and serves as a member of the association’s section council. The chair has overall responsibility for setting the direction for annual section activities, and formulates and manages the section’s budget. Founded in 1900, the AACP’s mission is to lead and partner with its members in advancing pharmacy education, research, scholarship, practice and service to improve societal health. AACP is comprised of all accredited colleges and schools with pharmacy degree programs accredited by the Accreditation Council for Pharmacy Education, including more than 6,400 faculty, 62,500 students enrolled in professional programs and 5,100 individuals pursuing graduate study. Photo: SIUE’s Dr. Lakesha Butler, associate professor of pharmacy practice in the SIUE School of Pharmacy.